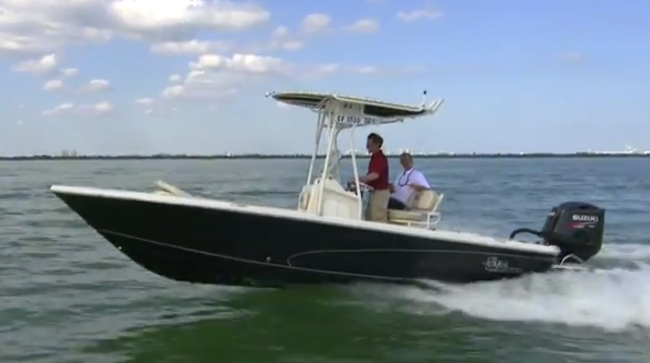 The 2015 Carolina Skiff Sea Chaser 23 LX Bay Runner gives you a run for the money. Literally. 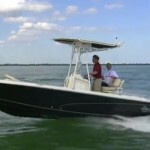 Carolina Skiff expanded their line years ago with Sea Chaser boats, to give their buyers a more up-scale option, and at the Miami Boat Show we found their largest bay boat offering, the Sea Chaser 23 LX Bay Runner. It was sitting at the docks, with a Suzuki 200 outboard on the transom. 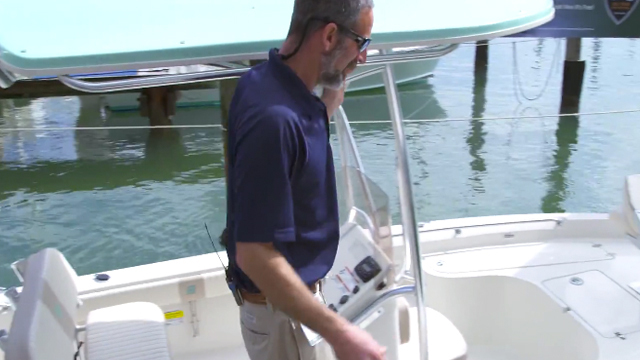 Naturally, we couldn't just leave the boat sitting there—we had to scramble on board and get in a quick sea trial. As you can tell, this is going to be a pretty sweet little package for light tackle anglers probing bays, creeks, and rivers for fish like reds and speckled trout. True, you probably also noticed that the boat isn't the fanciest on the water, nor is it the fastest or the most stable. 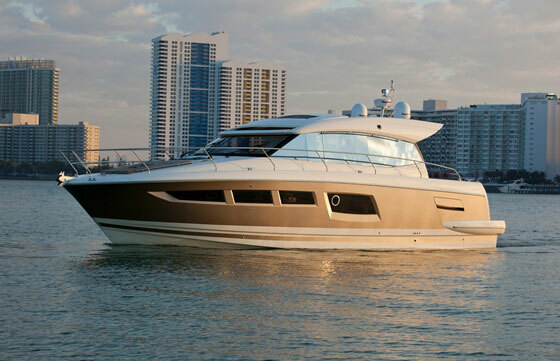 But it shines when you consider value; this boat costs a fraction of some other bay boats its size. And it also has some very unique features. But let's not get ahead of ourselves here, folks. 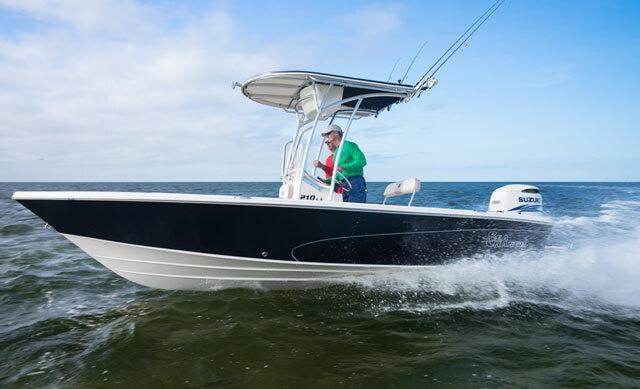 If you're interested in this boat and you want to learn more, read our full review, Carolina Skiff Sea Chaser 23 LX Bay Runner: The Price is Right. 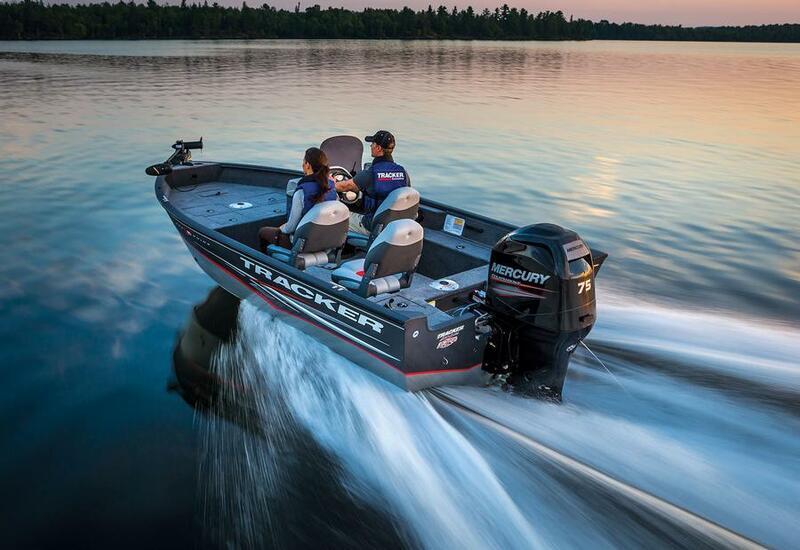 If the 23 is a bit too big for your taste but the Bay Runner series is right up your alley, you might want to check out this boat's smaller sibling; read Sea Chaser 21 LX Bay Runner: Get Hooked. 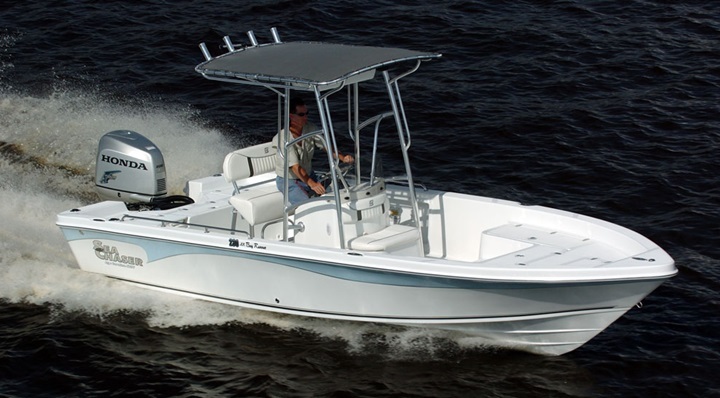 See Carolina Skiff Sea Chaser Bay Runner listings.